Great set of 10 beautiful blurred backgrounds to download for free. Use them to in your graphic design projects. Blur background HD images are useful in different types of projects, to create cool backgrounds for example. 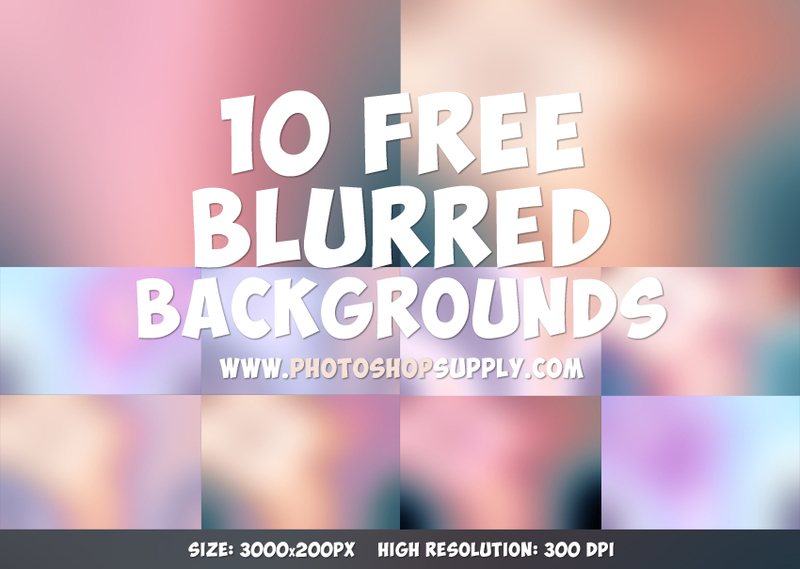 This set includes 10 high resolution blurred backgrounds at 300dpi for you to use in Photoshop. The images are in JPG format, size 3000x2000px, 300 dpi resolution meaning that you can use them for print. How to create a blur background in Photoshop? It’s really easy, simply use the Gaussian Blur filter. If you want to change the color of the backgrounds, you can use a Gradient Map adjustment layer. There are a lot of free tools that you can use to blur background online without Photoshop. So, if you look for beautiful blurred backgrounds this freebie is great! Create your own backgrounds and wallpapers with these blur images. Photo blur effects are used often. Among the most popular are the Motion Blur and Gaussian Blur. The first is used to create speed motion effect and the second is used to create blurred backgrounds, tilt-shift images, etc. This freebie contains 10 JPG files to make blurred backgrounds in Photoshop.